The Division of AIDS, within the Department of Medicine at the University of British Columbia (UBC) invites applications for a full-time academic appointment as the holder of the Steven Diamond Professorship in Addiction Care Innovation at the rank of Assistant Professor, Grant Tenure Track. This position will be located at Providence Health Care and the successful candidate will be a member of the BC Centre on Substance use (BCCSU). The Department of Medicine provides excellence in research, teaching and clinical services related to the nature, cause and prevention of adult diseases. 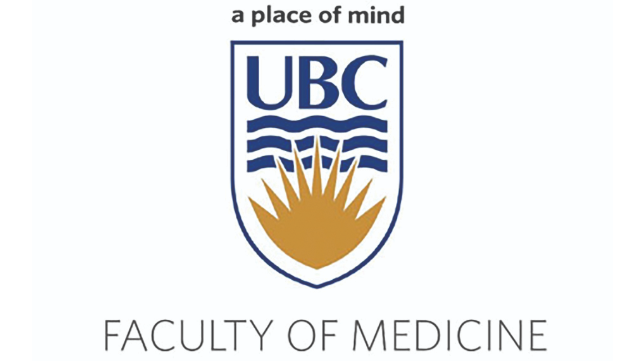 As the largest Department in the Faculty of Medicine, comprised of 18 Divisions, and over 1,200 faculty and staff located throughout the Province of British Columbia, the Department of Medicine is committed to ensuring the success of learners and faculty, and to contributing to the health of the Province of British Columbia. The BCCSU is a provincially networked organization with a mandate to develop, help implement, and evaluate evidence-based approaches to substance use and addiction. As a University of British Columbia Faculty of Medicine Centre, the BCCSU’s vision is to transform substance use policies and care in British Columbia by translating research into education and evidence-based care guidance. By supporting the collaborative development of evidence-based policies, guidelines and standards, the BCCSU seeks to improve the integration of best practices and care across the continuum of substance use, thereby serving all British Columbians. The BCCSU seeks to achieve these goals through integrated activities of its three core functions: research and evaluation, education and training, and clinical care guidance. The successful candidate will be expected to become a leader of research and education in addictions care innovation to generate evidence and optimize outcomes in patients living with problematic substance use. The incumbent will synthesize clinical and research information and translate that into recommendations for clinical and policy guidance, ensure the translation of real-world evidence into practice, and develop and deliver education on innovations and evidence-based best practice in addiction care. They will be expected to lead an independent research program, participate in undergraduate, graduate and postgraduate teaching activities, and to provide service within the Division and Department, the University, and both the academic and broader community. The successful candidate will have an MD or equivalent degree, have completed a clinical fellowship in addiction medicine with a focus of their clinical time in the area of addiction medicine, and must be eligible to be licensed to practice as a general internist in British Columbia. The incumbent must also have a strong background of research in addiction medicine and must have completed research training sufficient to be highly competitive for peer-review funding opportunities. The incumbent will also have demonstrated potential for excellence in teaching, senior clinical leadership in an addiction medicine clinical environment, as well as demonstrated potential to attain eminence in the area of addictions care innovation. Candidates with formal training in addiction research (e.g. research fellowship or equivalent) will be given preference. Review of applications will begin May 5th and continue until the position is filled. The anticipated start date for this position is June 1, 2019, or upon a date to be mutually agreed.